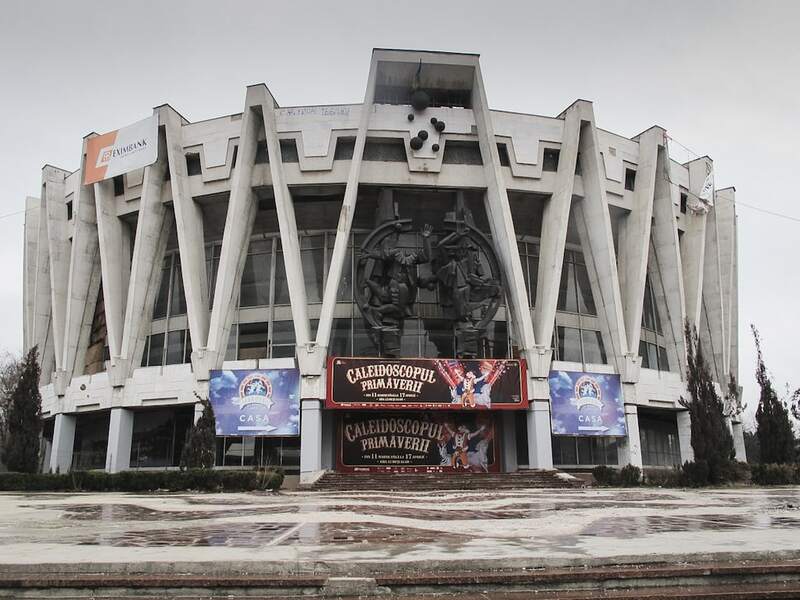 I have spent at least six months of my life in Almaty, Kazakhstan. It is kind of strange to think about that, but I visit Almaty a lot or I have actually previously called the city home for a while. 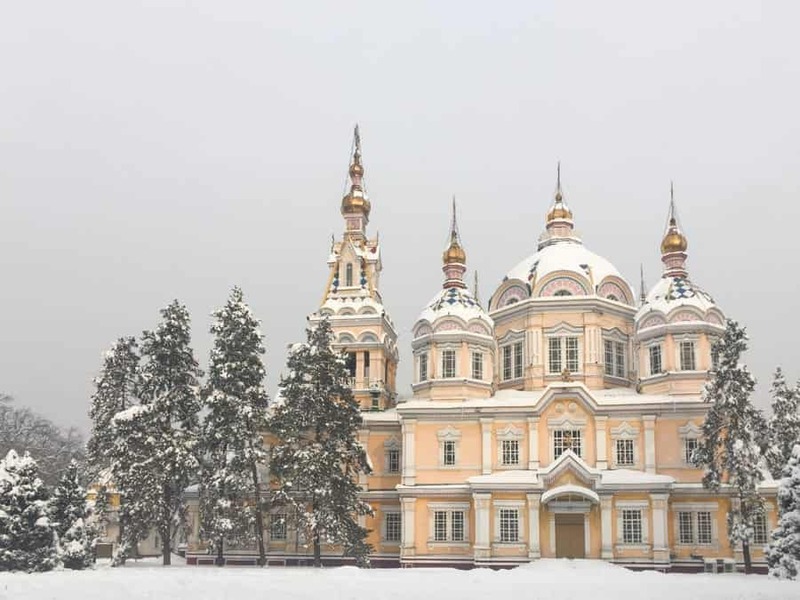 I get email after email asking questions about my tips for visiting Almaty and because I am so comfortable in the city, I always come up blank. 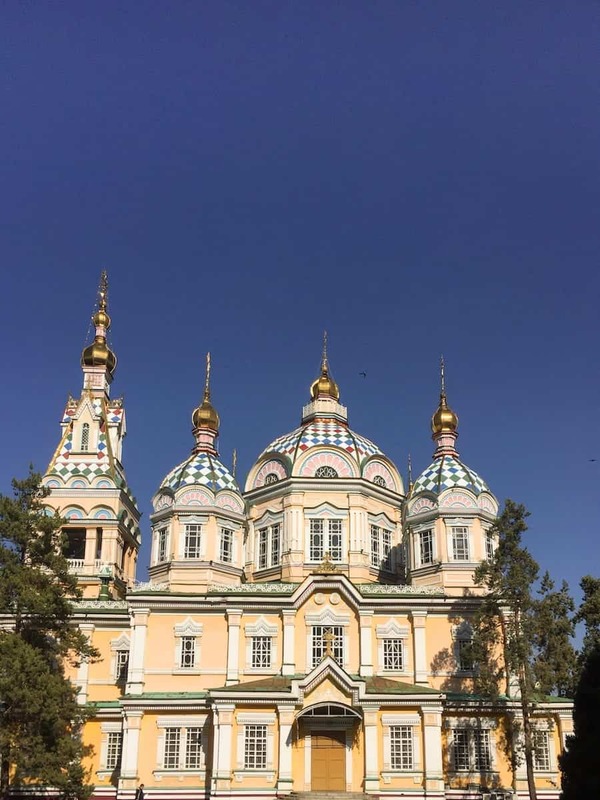 So, on my latest trip to Central Asia, I wanted to slowly write my thoughts down on paper and transfer them to a post about 25 things to know before you visit Almaty, Kazakhstan. Without further ado, here we go. Please leave questions or comments in the comments sections and I’ll reply back as soon as I can! Thanks! Almaty is easily one of the most underrated cities I have ever been to. 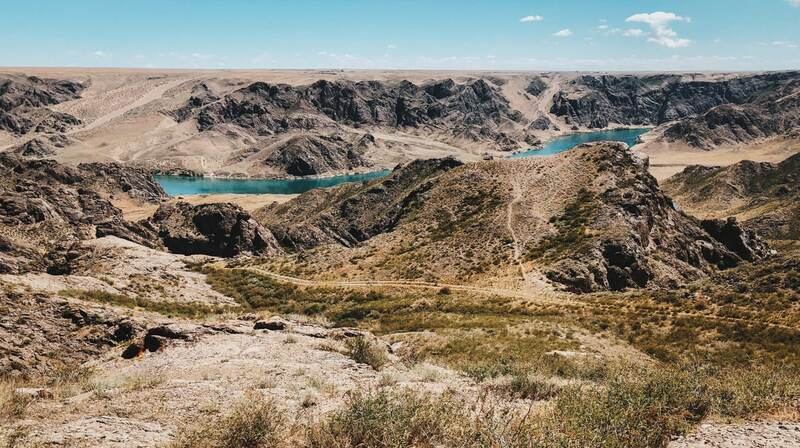 Located in the southeastern part of Kazakhstan, it is, without a doubt, the cultural heartbeat of Kazakhstan. The city is vibrant, resilient, and has so much to offer travelers. I hope this guide will help you feel encouraged to go there and give you a feel for the city before you step foot in it. 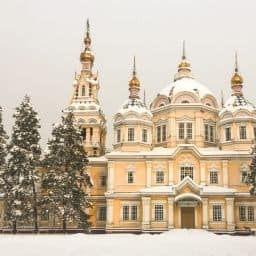 If you’re interested in what to do in Almaty, here is my Almaty itinerary that can help you get started. I find Almaty to be a fairly social city compared to other cities I have visited in Kazakhstan or Central Asia as a whole. There are many cafes, bars, restaurants, and kiosk littering the streets of Almaty and many of them are consistently full. Food in Kazakhstan is goooooood. Like, really good. Samsas, plov, laghman, and all kinds of international specialties that will leave you salivating. 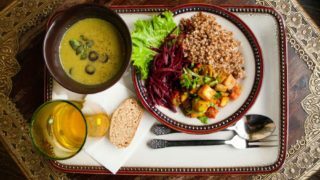 There is a diverse culinary scene in Almaty and you can find almost any style and cuisine you want in the city. 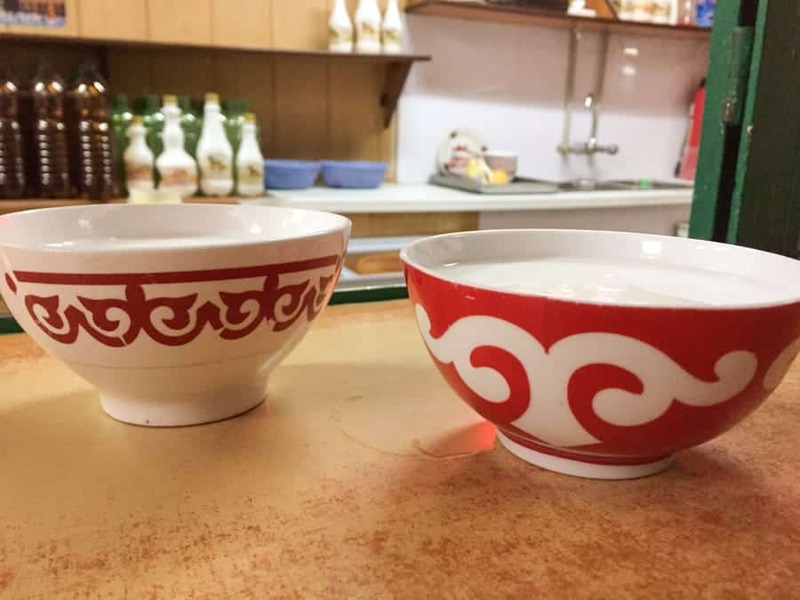 You can find good burgers, Indian food, Georgian food, and to many people’s surprise, Korean food. 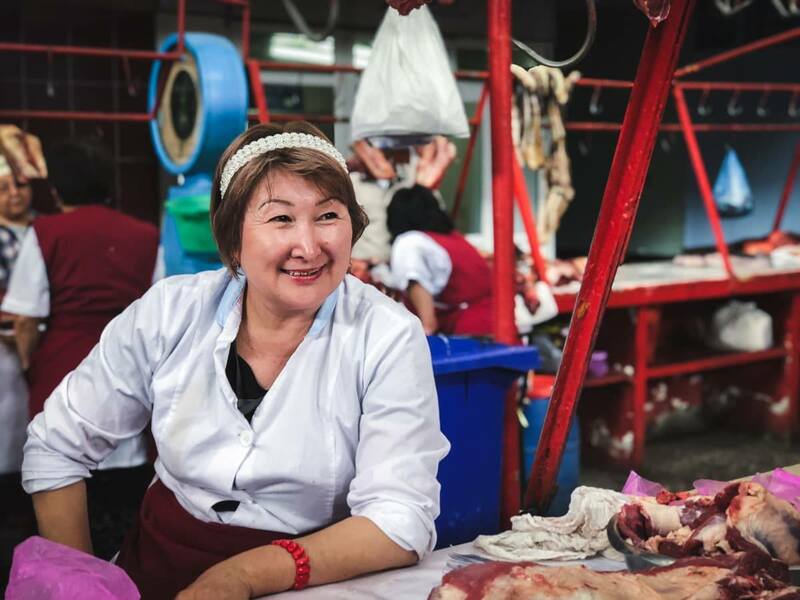 Kazakhs have an affinity for Korean food and have for decades. There are Korean supermarkets ubiquitously across the city and you can find Korean sections in every grocery store without fail. It makes my heart very, very happy. 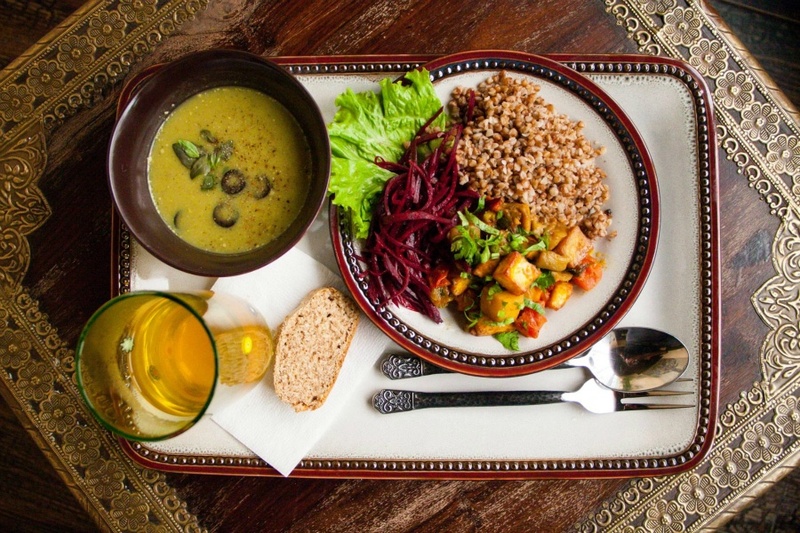 Nevertheless, you will not be hard-pressed to find amazing food in the Kazakh cultural capital. I will soon be creating a restaurant guide to the city. Locals love their coffee and they like is sweet. There are a plethora of cafes throughout Almaty and your mind will be blown when you see the choice of places to go to. Many cafes double as a restaurant and bar so they will be open early in the morning and close late at night. While I am not a huge fan of the standard coffee shops in Almaty, I do appreciate a good cup of coffee and I can always find one. 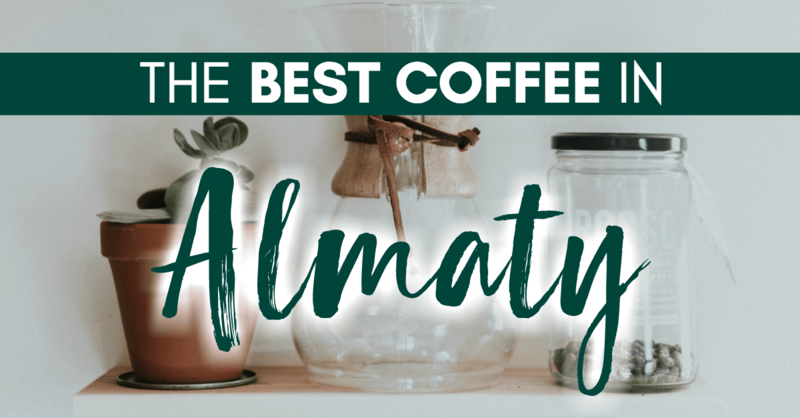 Click here to check out where to find the best coffee in Almaty. I truly thought craft beer would be on the rise in Almaty, but it never really ‘happened’. Fortunately, one craft beer bar has opened in the city and they have an amazing selection even if not really much of it is from Kazakhstan or local. You can check out Kraftwerk for craft beer (it is near Dostyk Avenue) and they have a really solid array of Russian craft beers which was exciting for me and still a bit foreign as I don’t always find Russian craft beer easily in Germany. Also, Harat’s Pub recently opened a new location in Almaty and they had a really good selection of beers on draft. I never loved their Nurly Tau location but I am obsessed with the terrace and location of the one on Panfilov. Update from September 2018: I recently went to Publika and they have craft beer! Yay! Check it out! Not craft beer but rather shubat and kumis. Yum. You won’t be hard-pressed to find a grocery store in Almaty. They are everywhere. Some nicer than others and some pricier than others. They all take credit cards. Many of them have a hot food section where you can buy salads or manti to go. They all have lockers at the front of them with a security guard ensuring you lock your other bags up before entering the store (super hard to trust people when you have cans of horse meat at your disposal, ya know). If you get past him and he sees you, he may run after you. If all lockers are full, they will just casually let you pass through with your bags. It is inconsistent. Beer, liquor, and wine are all sold inside of a grocery store, but sometimes in a separate area depending on the shop. Kazakh grocery stores are extremely practical and easy to navigate. And you will be shocked at how many familiar ingredients you will find. I always find it amazing that I never struggle to find anything in Almaty. 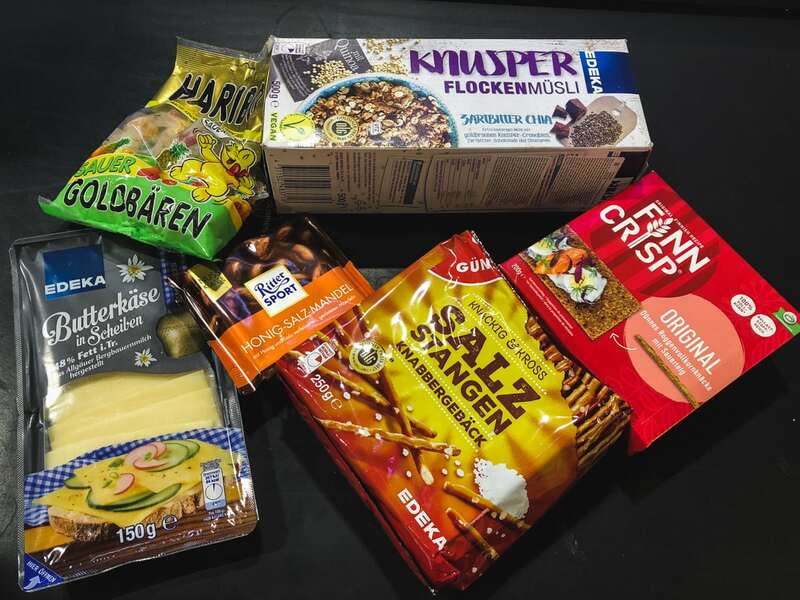 My favorite shops are Ramstore (large and decently priced), Interfood (overpriced shop full of German stuff and things I miss from home), and Gal Mart (overpriced shop in Dostyk Plaza that has a variety of different beers and a really nice hot menu area that I can get things to go already prepared). But, I also frequent local markets and small shops for fruits and vegetables and water. In Almaty, scams exist but not really on a major level like some other cities, in my opinion. You need to be more cautious of bribes here and there. But, for the most part, I have no issue with anything in Almaty or any other part of Kazakhstan. This isn’t so much a scam as it is a problem. There is a huge issue with apartments in Almaty kicking tenants out when someone else agrees to pay slightly more. It has been an issue for years. I even had it happen with Airbnb at the last minute. The renter told me someone was staying in the apartment that I had booked the day prior and tried upselling me to a more expensive one. I, naturally, lashed out and the ordeal lasted for a week but she finally agreed to allow me to pay the initial rate for the upgraded space. I am glad she came around because I would have reported her to Airbnb for the mess. But, keep all contracts and continuously check to ensure nothing sketchy is happening behind the scenes. I have not personally faced this, but I have been told by two different people about this ‘scam’. A person of a certain nationality not requiring a visa to visit Kazakhstan will be asked at the airport where their visa is. If you can say confidently that you don’t need one, the customs officer will pester you no more. But, if you show any sign of vulnerability or uncertainty, they will make you purchase a visa on the spot. This happened to an Austrian guy I know and the Italian son-in-law of a friend of mine recently. When I went through customs, they asked me where my visa was and I scoffed and told them I didn’t need one for thirty days. Research your nationality’s visa requirements for Kazakhstan and confidently speak up when asked if they do proceed to ask. Click here for a Kazakhstan evisa. Download Yandex taxi and thank me later. If anyone knows her way around the Almaty taxi scene, it is me. I have gotten into several of the wrong taxis in the past only to be beaten or locked in and threatened. This can happen anywhere but I was tipped by a local that certain taxis in Almaty belong to taxi gangs. It all started to make sense. I took a legit taxi from the airport at night to Hotel Kazakhstan and the driver told me I could split the cost with the other passenger he already had in the car. Turns out, that other passenger was his friend who was going to help try to rob and beat me. Fortunately, I was able to escape out of the car with all of my equipment (had just arrived from a long weekend in Bishkek) and he pushed me down but I was able to get him on the ground and unable to get up as I ran into Hotel Kazakhstan begging for police. The police just tried bribing me and it was a mess, but after that event (it was the second issue I had), I never once didn’t use Yandex Taxi or Uber and I haven’t had a problem since. Update: Uber no longer works in Kazakhstan. Taxi issues can happen anywhere- don’t let this put you off of visiting! 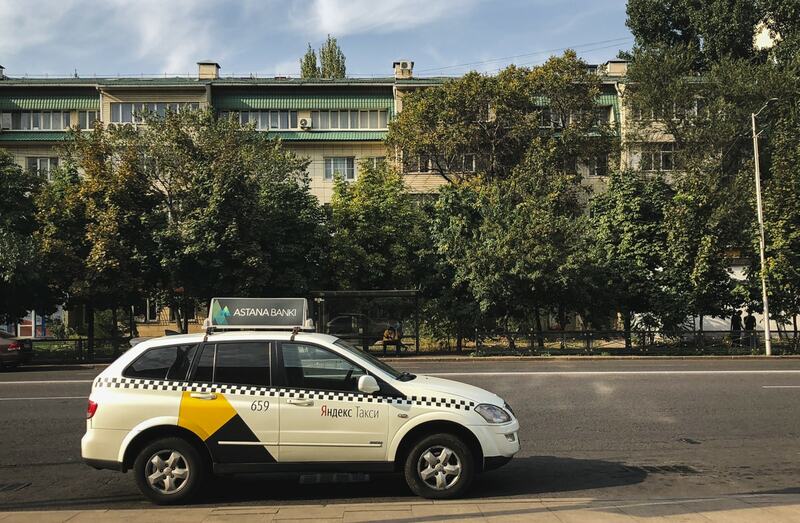 One phenomenon that is really unique to Almaty and Kazakhstan is hitchhiking… even in the cities. It is such a local custom that you won’t even notice it after a while and it’ll become second nature. Basically, just know your destination and what you’re willing to pay and step to the side of the street, raise your arm, and someone will stop and ask you where you’re going. If they are heading in that direction, they will often tell you to hop right in. If they aren’t, they will shake their head and drive away. This is the best for short distances as you will often have a better chance of getting a lift. 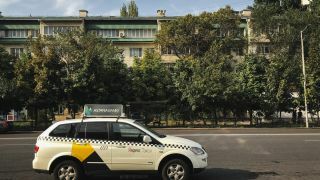 For longer distances across the city, I always used Yandex Taxi. This is useful information regardless of whether you spend one day in Almaty, or a month. Getting a SIM card in Almaty is painless… if you do it right! I always go the same shop. I use Beeline when in Kazakhstan as the reception is best once outside of the city, in my opinion. There is also a company called KCell which is pretty decent. But I am loyal to Beeline. Don’t just grab a Beeline SIM card at any location, however. Get it at the main store at Tole Bi and Furmanov (it’s on the corner). It will inevitably be busy, but find the person who is walking around in the company’s attire and tell him you need an English speaking desk. He or she may not even make you wait with a number as there is someone designated to help English speakers and tourists. From there, just hand over your passport and instruct the customer service representative with what exactly you’re looking for. I usually pay around $5-6 for 10GB of data and get a data only card. The deals are often changing, but they are always affordable. 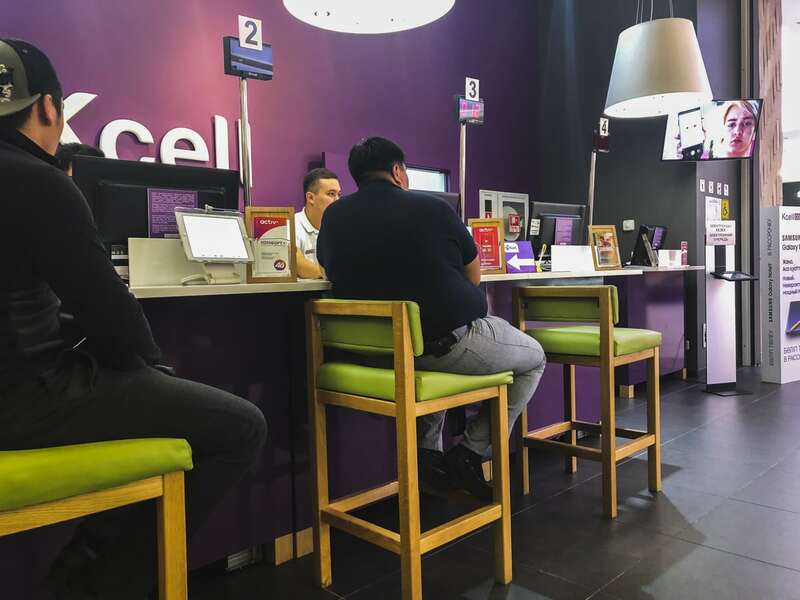 Updated on September 2018: I have switched to KCell. 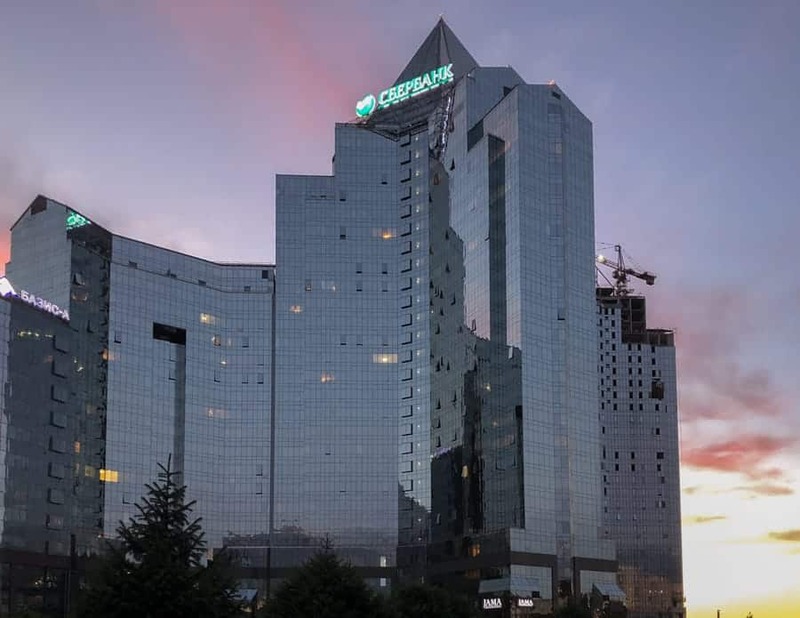 Read this post about getting a SIM Card in Kazakhstan to see why. Oh, you picked to travel to Almaty during spring!? Good on you- you picked a good season. Traveling there during winter? It is not exactly the best time to be in Almaty. But, I have spent most of my time there during winter and I loved it nonetheless. There in winter? You may have mild weather for a week and the following week you will be trudging through a blizzard gifting you with -20C. 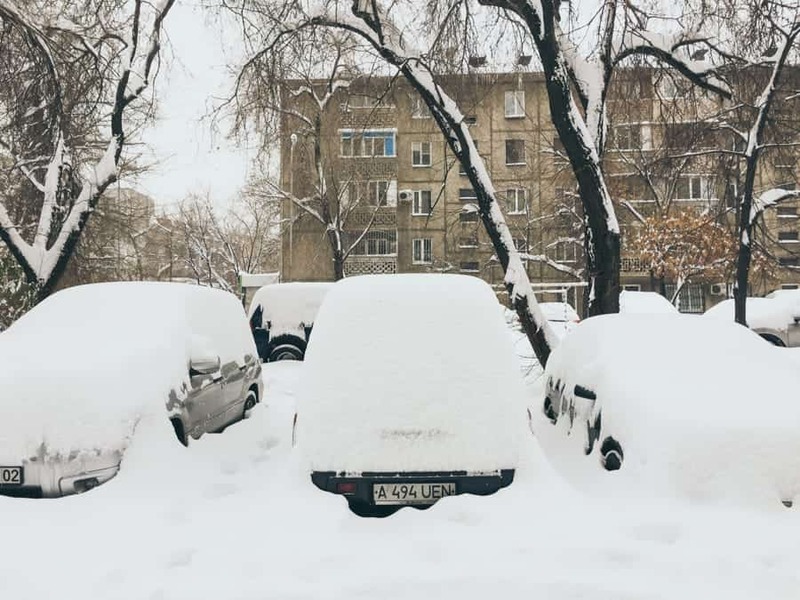 Almaty’s weather is unpredictable and temperamental. Perhaps that is why I love the city so much? Its weather is kind of like my soul sister. This is a major issue in Almaty. While the streets aren’t really dirty, the air quality is horrendous. I will never forget my first trip to Almaty and I was looking on iPhone weather (which I trust so half-heartedly to begin with) and the weather said ‘Smoke’. What the hell kind of weather is ‘Smoke’? I didn’t question it and just assumed Almaty was dry and on fire or something. I quickly learned once I arrived that ‘Smoke’ is a nice word for SMOG CENTRAL. 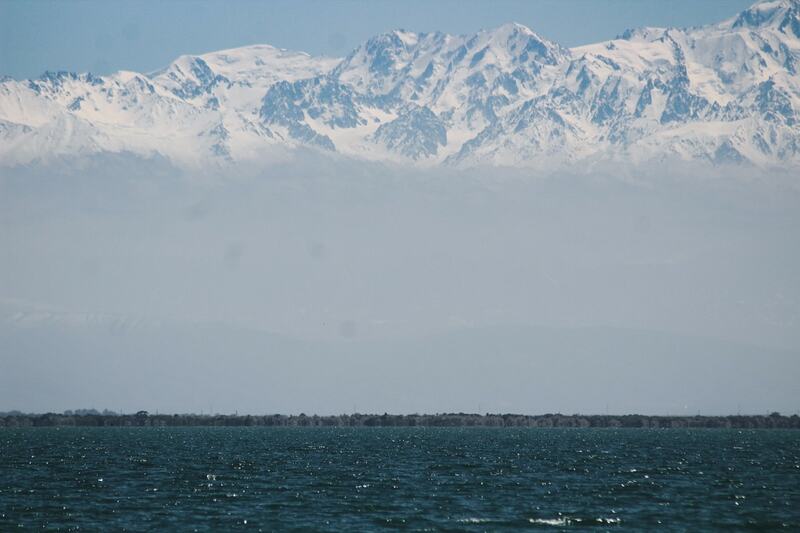 Want to see Almaty’s mountains? Head out at the earliest possible moment after waking up or right before it gets dark in the city and you can see them usually. During the middle of the day? Very little chance you will see them. A layer of smog hides them. You can even see the smog far outside of the city. I hope Almaty can get this problem under control and limit cars on the road or something. It is a really terrible issue and one I can feel in my lungs when I am there. Distances are large and taking a bus across the city’s terrible traffic can take hours. Taxis are, unfortunately, the best way to get around for me. Buses in Almaty are either newer and spacious or old and crowded. The trollies have been decommissioned recently and will be done away with. 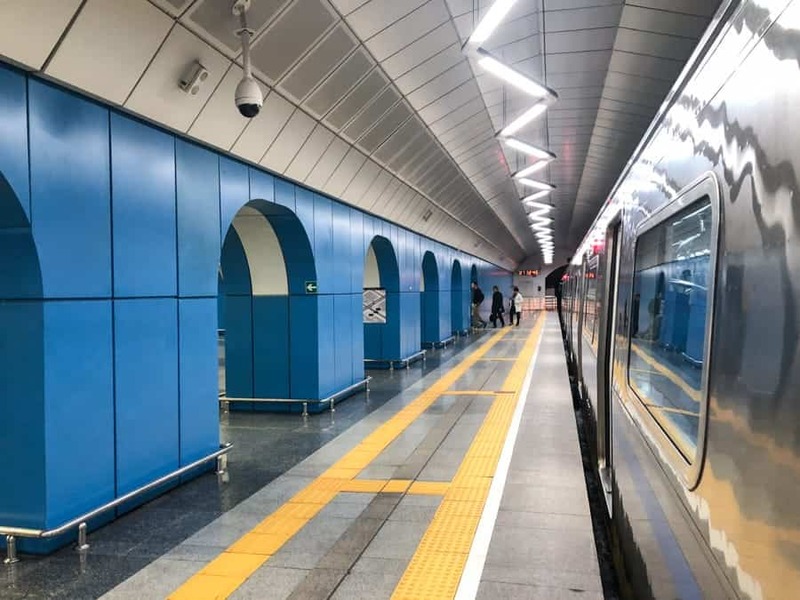 I actually really like the metro in Almaty. It is efficient, beautifully designed, and affordable. But, it never runs to the places I hang out so I rarely use it. When I was living in Almaty, I used it maybe three times in total. The last few weeks of being in Almaty, I haven’t even stepped foot inside of it. But, I really enjoy walking the city when I visit Almaty, so I never really think too much about it. And be warned- the Baikonur Metro Station will entice you to book a tour to the Baikonur Russian Cosmodrome! There are 88 bus routes in Almaty. The larger buses are spacious and greener and you’ll be very lucky if this is a bus on your route. Otherwise, enjoy getting crammed into a bus that is half bus-half marshrutka. I am claustrophobic so I don’t really take buses unless I’m heading up to Medeu when I am in Almaty. I usually opt for a taxi as it is easier and causes me far less stress. 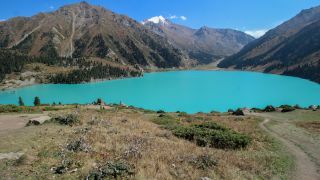 To see the bus routes in Almaty and how to get from point A to point B, check out this website. It took me years to find a hostel in Almaty that I was comfortable staying at. I had nonstop issues with other hostels involving bribes, corruption, and them being unkempt. Obviously, I am a vocal person, so I made my issues known. Turns out, this put me on a hostel ‘ban’ list for the city that I only recently learned about. Fortunately, Almaty Hostel Dom took me in years ago and I’ve never stayed anywhere else since and the owner has become a good friend of mine. Like really close, actually. The drive takes around 5 hours with marshrutka (which is ‘across the street’ when it comes to Central Asia) and is really painless and affordable (about $4.50). 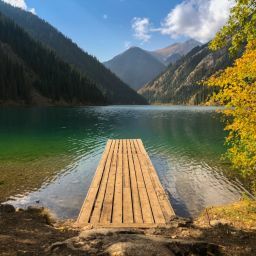 The problem I have is that people will fly into Almaty, spend one day there, and then head to Kyrgyzstan for the remainder of their Central Asia trip. 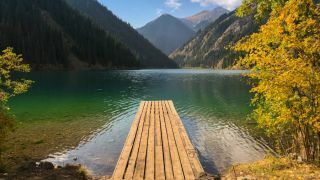 There is SO much to do in Almaty and its vicinity that I never understood why people don’t spend more time in the city and region. 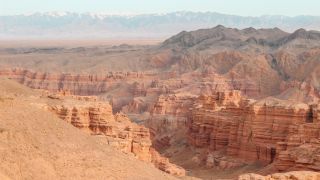 You have Altyn Emel, Charyn Canyon, and so much more! 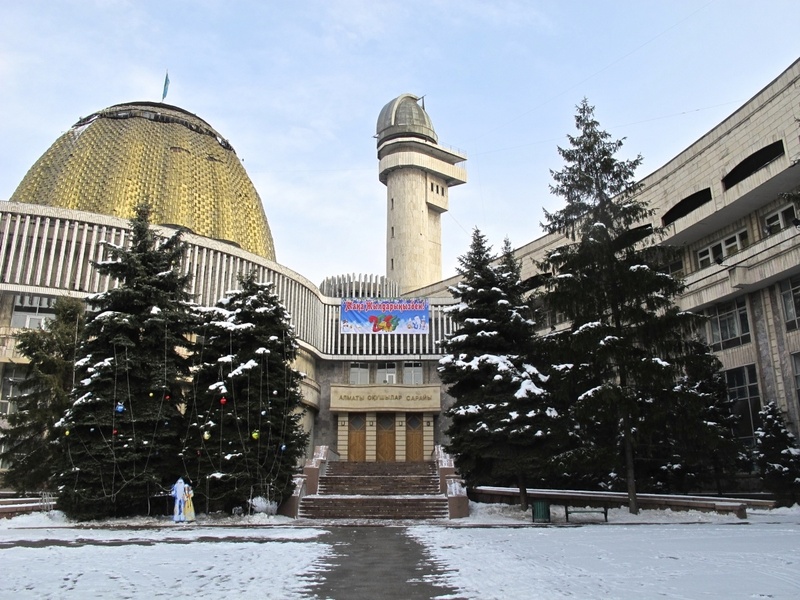 Yep, Almaty has nothing that designates itself as a city center. 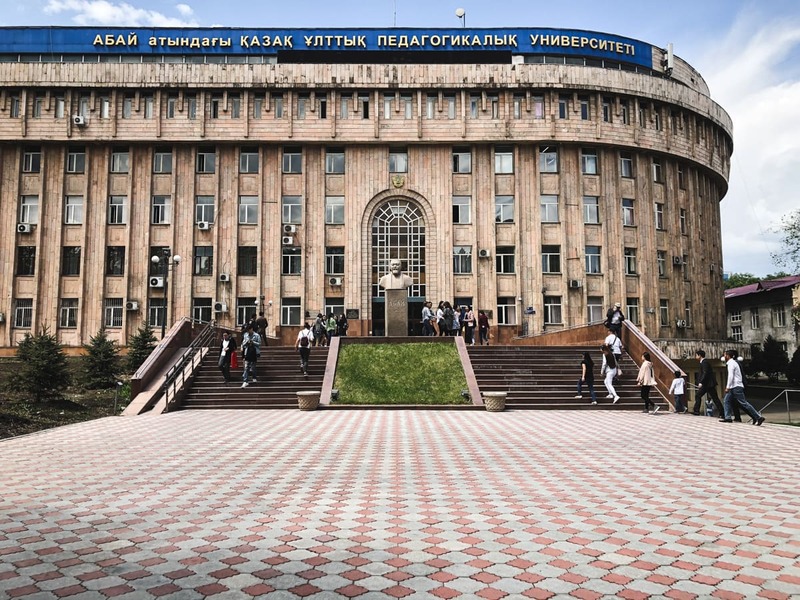 Central Asian cities often have a different history than ones in Europe and the cities are often ‘newer’… not by historical standards, but by architectural standards. Almaty’s layout is like a grid. It is pretty much the easiest city to navigate on the planet, but you won’t find a place that qualifies to be the city center. Sights are sprawled out around the vast town and you must do some work, or major walking, to locate them. I usually stick around Dostyk Avenue as that is where I stay and most of my favorite restaurants are located. I guess that is technically my ‘city center’ when I am in Almaty. This is a bit of an odd one. 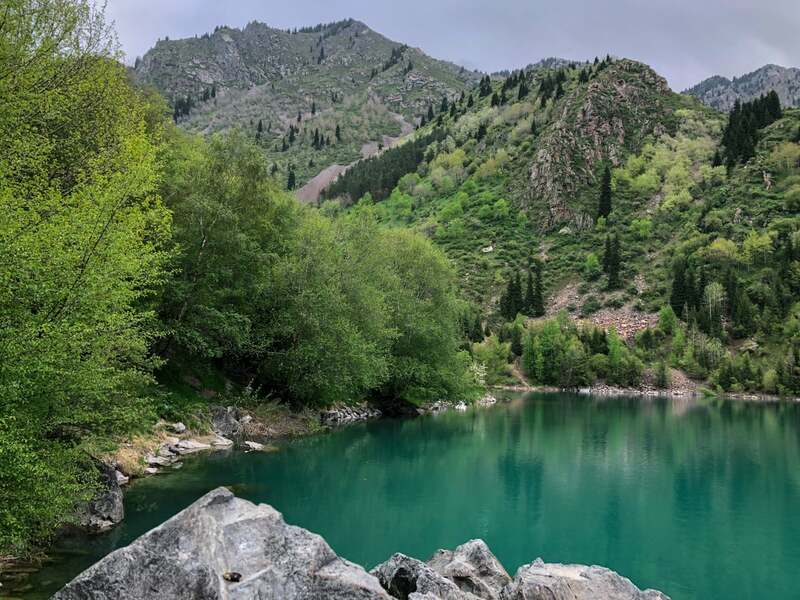 Almaty is surrounded by some of the most stunning nature you will ever lay eyes on. But, it isn’t a stone’s throw away like it may appear to be. A lot of it is an hour or two away. 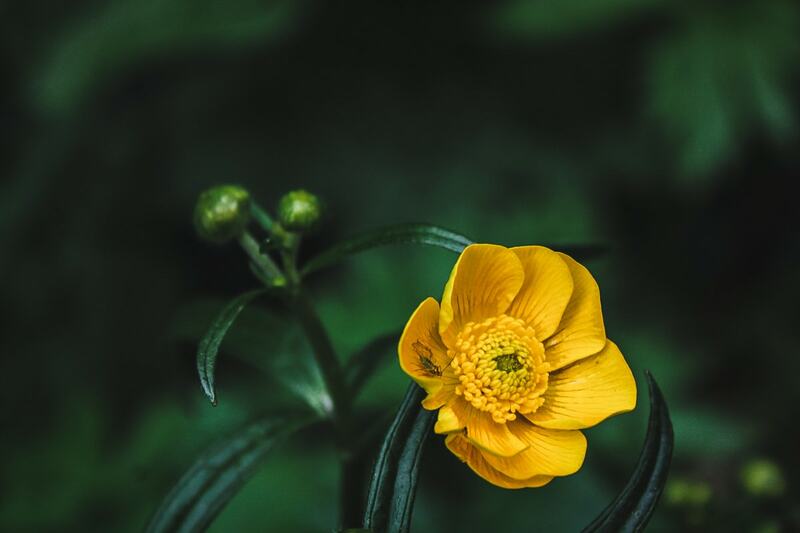 Granted, you can take a public bus for like $.30 to Medeu and Shymbulak and hike the peaks around and even to Butakovskiy Waterfall… but other nature takes some effort. 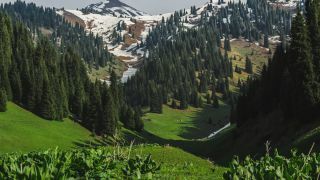 And do keep in mind that winter months make it even more difficult to get out there and see the landscape that surrounds Almaty. 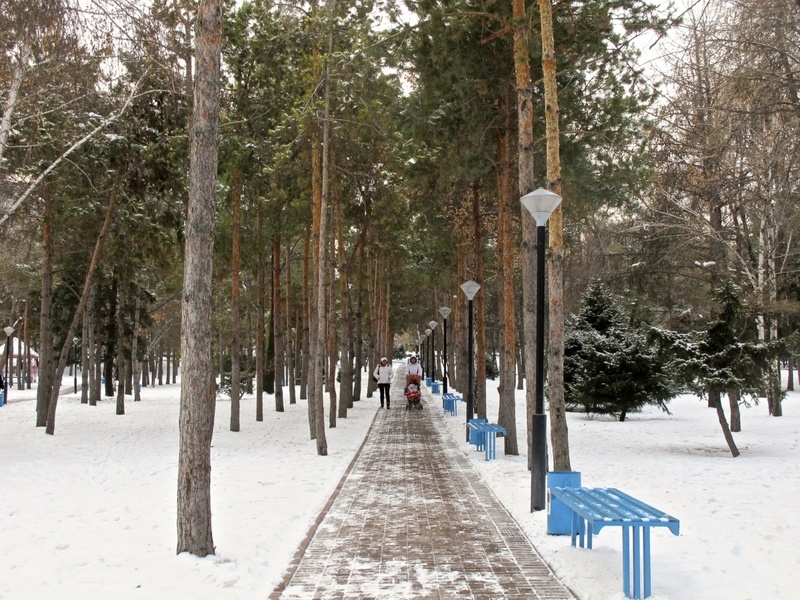 While the dramatic nature may not be at your doorstep, there are parks everywhere in Almaty. 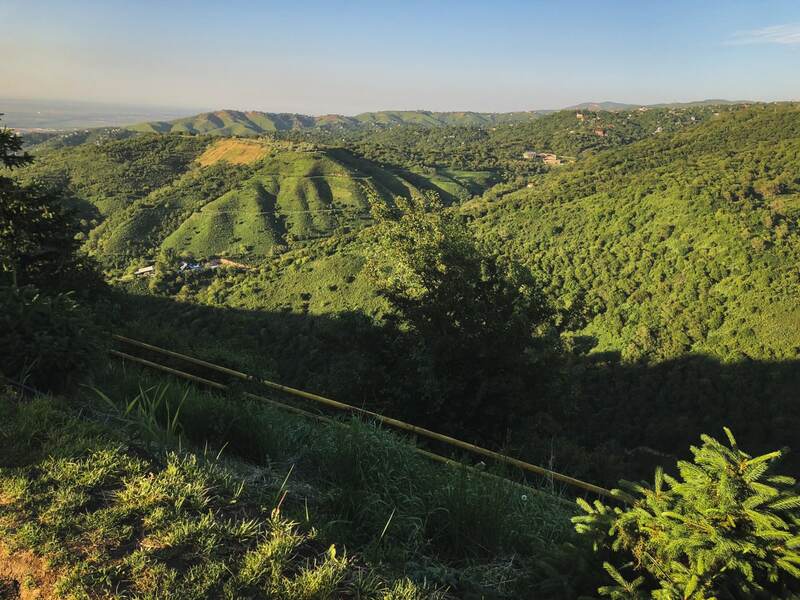 I literally haven’t seen many cities with green spaces on every corner- but you will quickly realize how ubiquitous they are when you visit Almaty. And they are even in more abundance outside the city, for example, at Kaindy Lake. 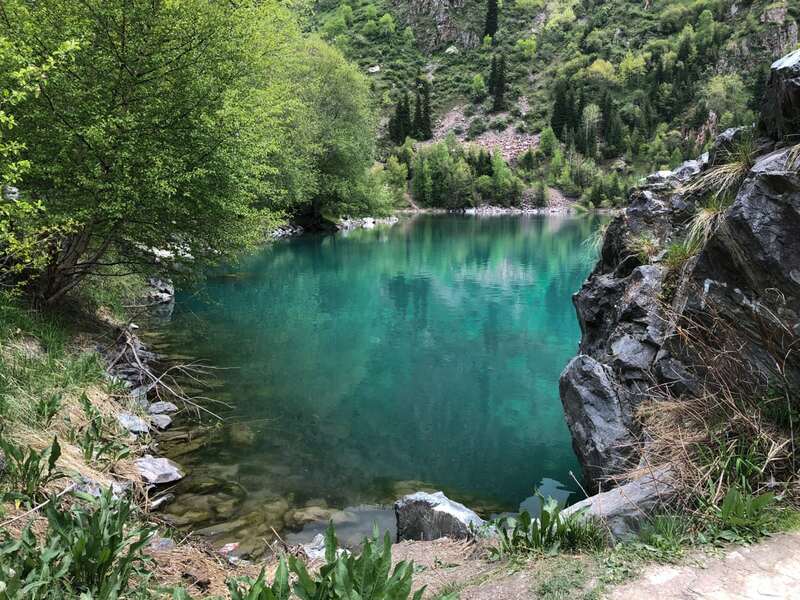 Click here to check out my guide of day trips from Almaty. 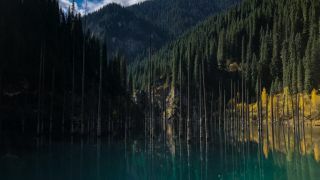 Most people in Almaty speak Russian, but it is not uncommon to find someone speaking Kazakh, especially if they are from a village or somewhere else in the country and have transplanted themselves to Almaty. I don’t know any Kazakh and it is completely different than Russian (it is more of a Turkic language), but I do know how to say ‘thank you’ in it and can at least spew that out if I realize someone is speaking Kazakh to me instead of Russian. Most restaurants are getting around to having English menus and there is enough English floating around that it shouldn’t impose too many issues for you as a traveler. But, as always, I do encourage knowing the Cyrillic alphabet before you head to Kazakhstan. It can only help… trust me. With all that said, Kazakhstan is trying to convert over to using more Kazakh. And, the President has proposed to convert Kazakh from being a Cyrillic written language to a Latin written one. I can’t even imagine the amount of money that this will require and I have my own personal opinions on it for now, but just keep that in mind. But it isn’t really conservative. 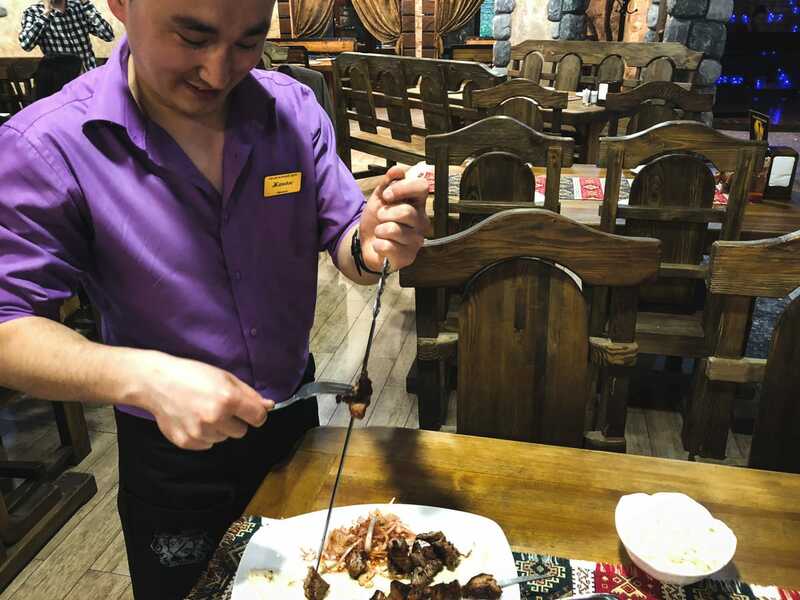 Unless you wind up at Uzbek restaurants during Ramadan (raises hand), you can find alcohol everywhere and people love to go out and have a great time. Girls wear just as little of clothing as they do in the west and you won’t feel like you’re in a conservative place in Almaty. 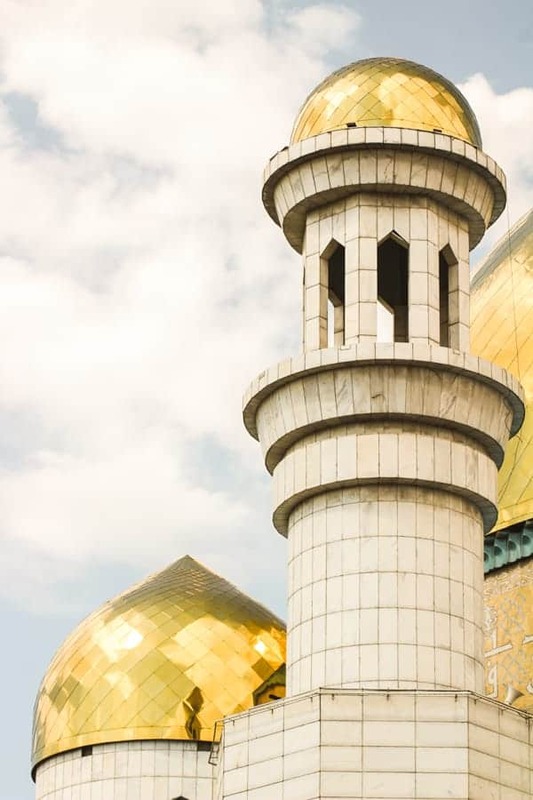 If you go into temples, mosques, or places of stricter religious requirements, keep in mind where you’re at and cover-up. Also, around the Green Bazaar, there are many conservative people, so I always try to stay covered up a bit more there. More often than not though, you will be the underdressed one wherever you go. The Almaty locals are fashionistas and always dressed to the nines. It is a bit embarrassing how I present myself in public, come to think of it. While Kazakhstan is Muslim-majority, you will find many people who aren’t religious and many people who are Russian Orthodox. 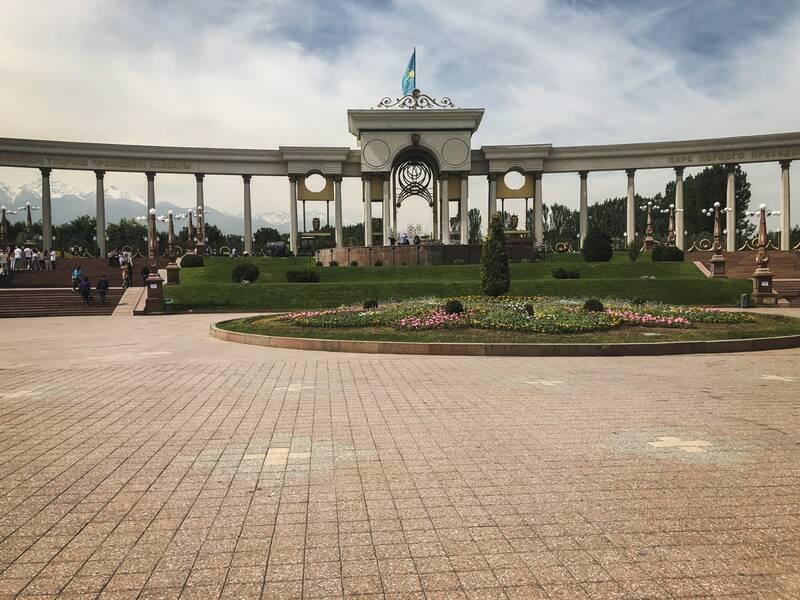 To understand Almaty and the country of Kazakhstan, you need to know its history. At the turn of the 20th century, Kazakhs underwent a genocide created by the Soviet Union. Known as the Goloshchekin Genocide, or Kazakh Famine, 1.5 million Kazakhs died during this time. Kazakhs became a minority in their own land and this genocide isn’t nearly as discussed as the other ones that took place (Holomodor in Ukraine, etc). But, Kazakh death numbers were actually the largest of any ethnic group during these planned genocides, so it is something that really needs to garner more attention than it should. I hope to write a post about it someday in the future. Once the Soviet Union dissolved in the early 1990s, Kazakhs slowly became the ethnic majority once again. A lot of this had to do with the Volga Germans who were placed in Gulags during the Stalin era being allowed to emigrate to Germany. In addition, many Russians left Kazakhstan to head back to their motherland… eventually making Kazakhs a majority again. No matter how hard Kazakhstan tries to make Astana happen as a cultural hub, Almaty is where it’s at. Sorry. It’s the truth. 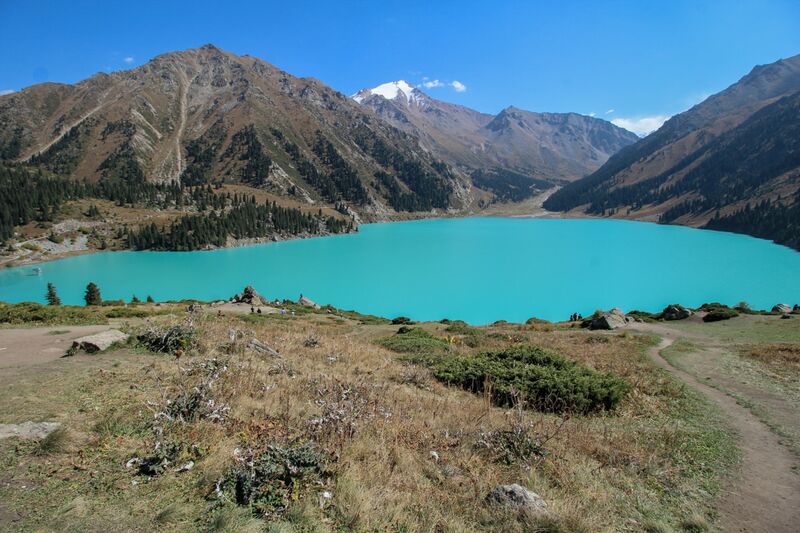 If you’re looking to really get to know Kazakhstan, start in Almaty. There is history, nature, magnificent architecture from all walks, amazing food, and I have to stress again… NATURE. 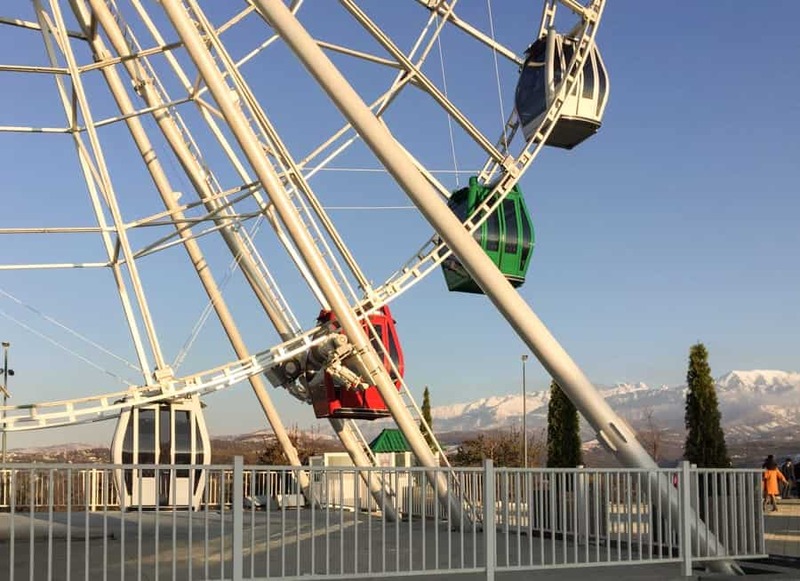 There are many events happening in the cultural capital and when you visit Almaty you will quickly understand why I love the city so much. Another reason I love Almaty is that it is good for every type of traveler- families, solo travelers, adventurists, or the type of person who likes to sit in cafes. 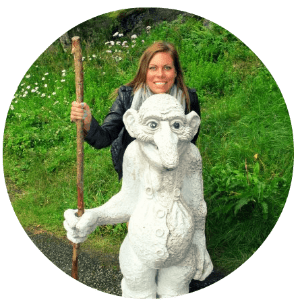 While I no longer think it is a digital nomad’s hub based on internet freedom, it is an easy place to accomplish a lot. 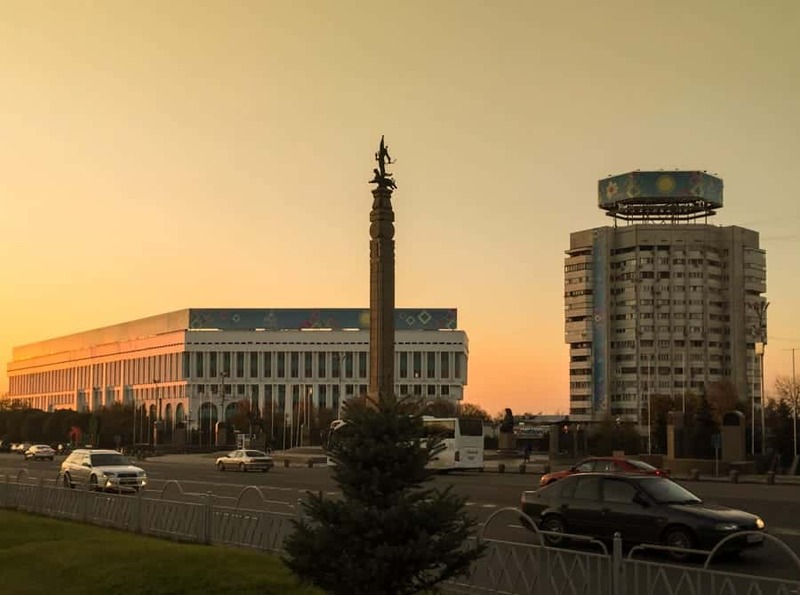 If you do happen to find yourself in Astana, the actual capital city, here is a list of things to do in Astana. Borovoe is also a popular day trip from Astana. Forget all of those perceptions you had from a certain movie that was not actually filmed in the country (it was filmed in Romania) depicting Kazakhstan as a backward nation of inbred people living amongst goats and cows. 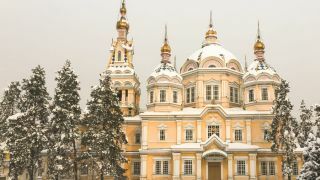 Almaty is quite cosmopolitan and you will feel it pretty quickly once you arrive in the city. There are places more modern than anywhere I’ve been in Europe or North America. There are buildings so unique and architecturally remarkable that they could rival any building in the world. The city is a mix of old and new… yes. 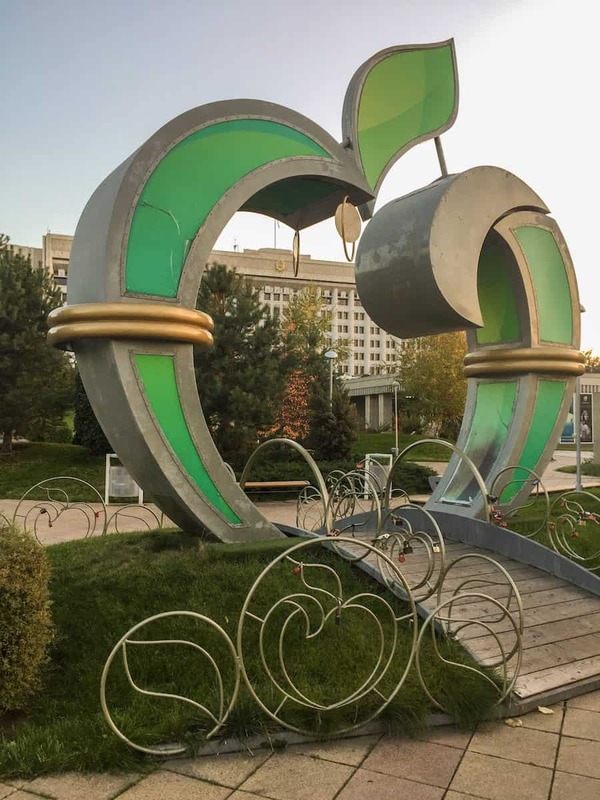 But I think most people will be pleasantly surprised to see a lot of modern innovation that they wouldn’t expect to exist in the Central Asia nation. Ugh… this pains me because I had to leave Kazakhstan on account of this, actually. But the wifi has become rather slow in the city as a whole. Some places are better than others, naturally, but the situation has become worse since I left in December 2016. Now, Facebook is blocked in the evenings or working at such a sloth-like pace that you’re best just staying off the internet in the evenings. Even this little ol’ website couldn’t’ be easily accessed within Kazakhstan. When I arrived here to Bishkek I wanted to scream with excitement because I could write online again. I hope this changes soon so I can update this post with some positive internet and wifi information. 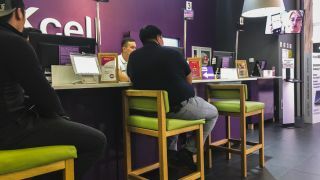 Update from Apil 2019: Internet blockages still exist. I don’t get political on this blog often and I am not going to start. But the people in Kazakhstan generally seem to like their leader and are comfortable with the situation in the country. Nursultan Nazarbayev has been the President of Kazakhstan since the position was created right before the Soviet Union dissolved. Yep, that’s right. 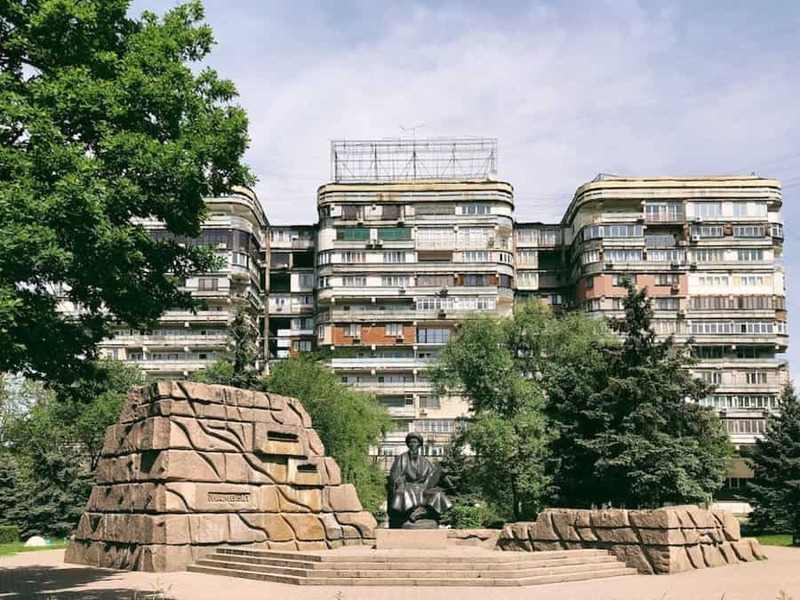 There is a First President’s Park in Almaty (which has incredible views of the mountains, FYI) and it is always interesting for me to consider that he has been the first and only President for nearly my entire lifetime. His approval rating is darn near perfect and I wish I could have that many people like me too. Maybe I will just fabricate those numbers and pretend for the sake of my own ego. Anyway, you will see photos of the President all over the city and Nazarbayev will become a household name to you once you leave Kazakhstan! 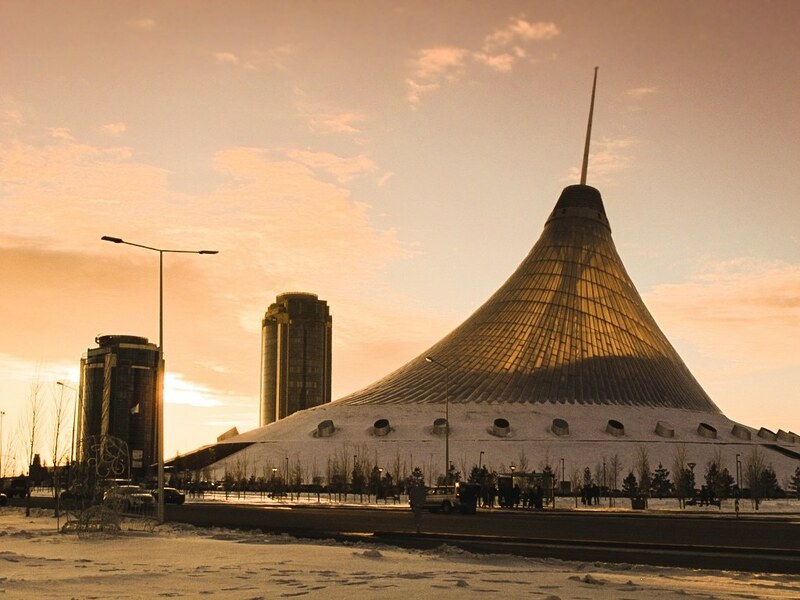 It was him who moved the capital from Almaty to Astana years ago and built it up to the mega-city that it is today. 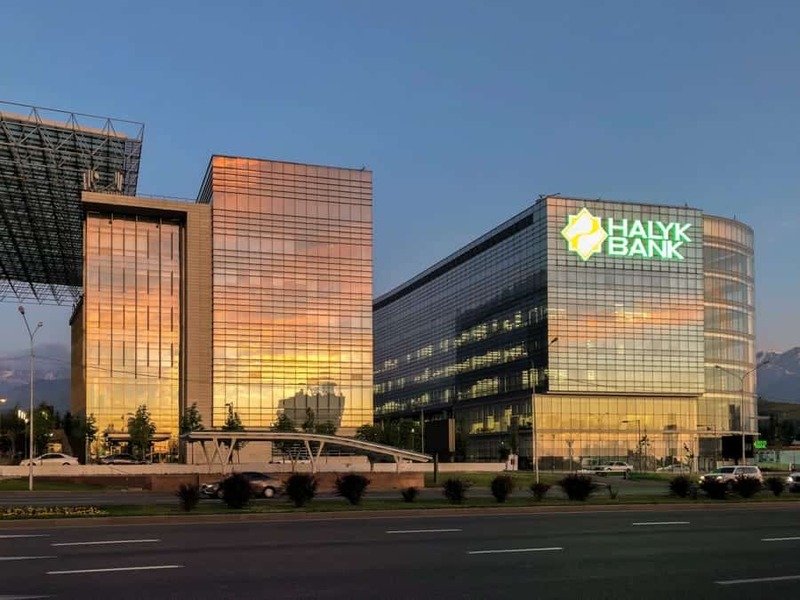 Update April 2019: Nazarbayev is no longer the President of Kazakhstan after stepping down. But, the city of Astana was renamed Nur-Sultan for him. Kazakhstan is a hotspot for flights in recent years! Wizzair started a route to Astana (you can fly cheaply from Astana to Almaty). 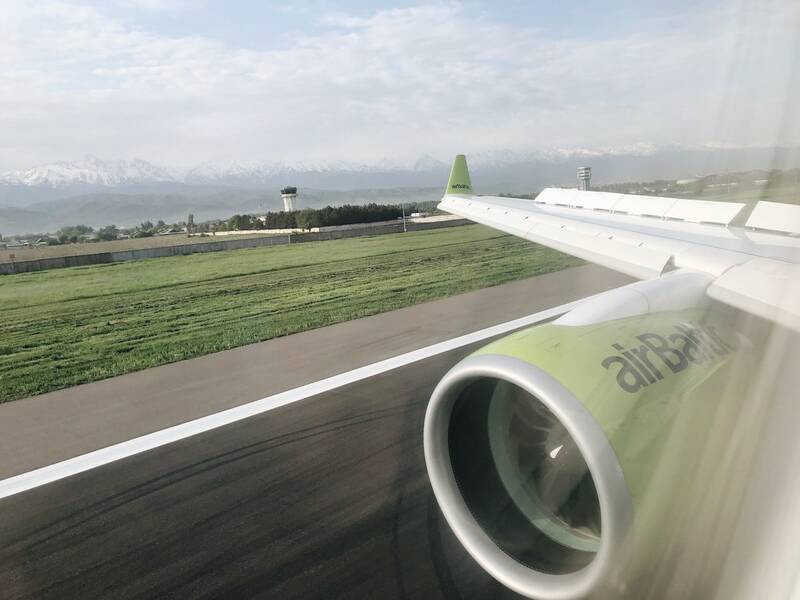 And most recently, airBaltic started an Almaty route from Riga. 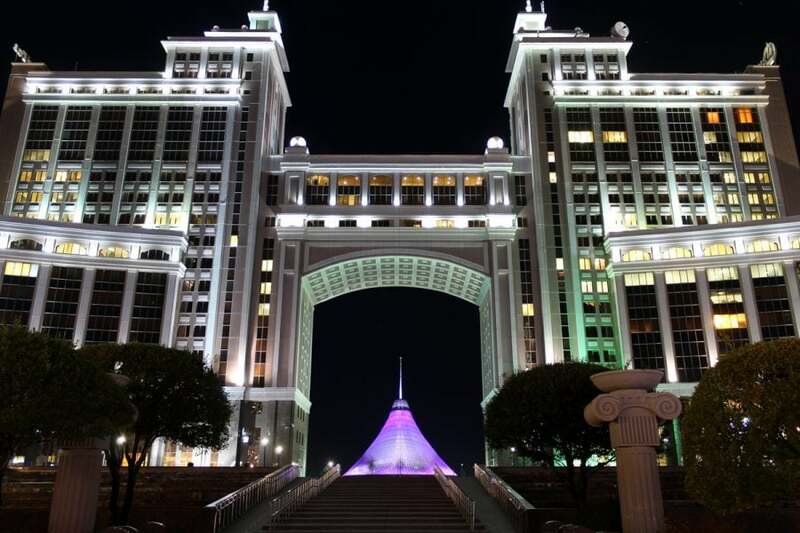 You can get to Kazakhstan for less than $300 if you play your cards right. Now is the time to head to Central Asia! 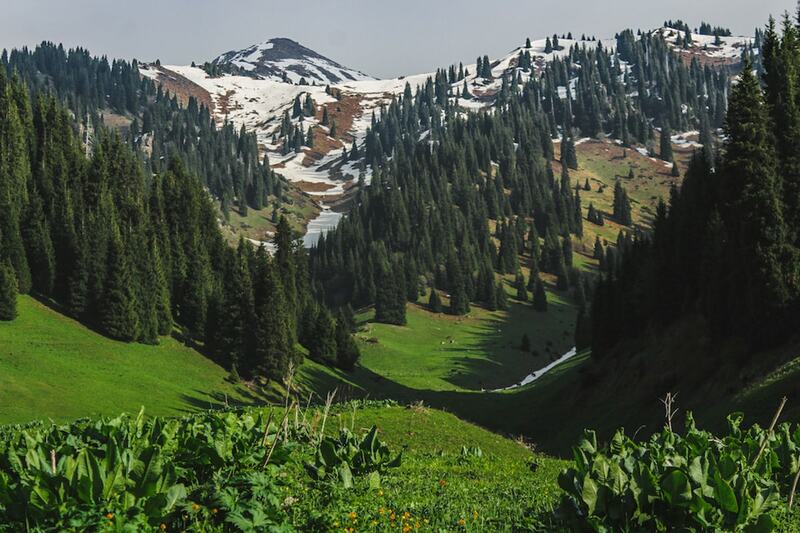 Is there anything you think people should know before they visit Almaty, Kazakhstan? 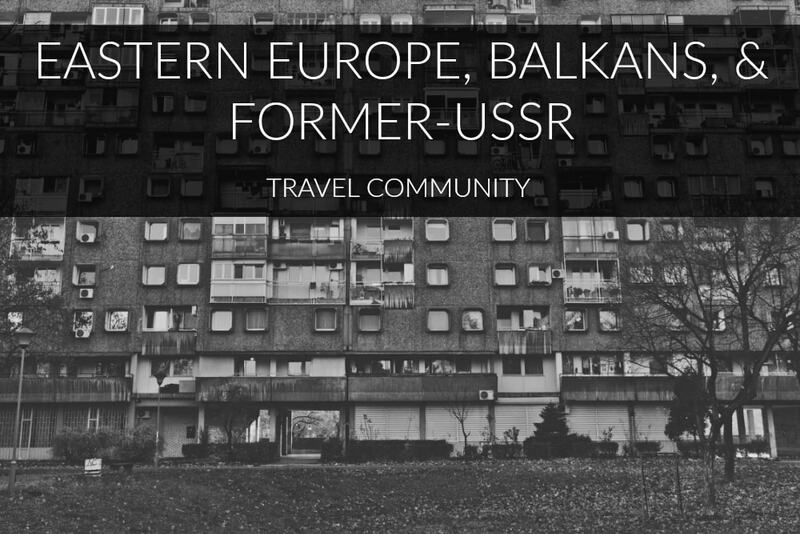 If you are interested in Eastern Europe, the former USSR, and the Balkans, please come over and join a group I admin with two other awesome bloggers. Click the photo below to join! 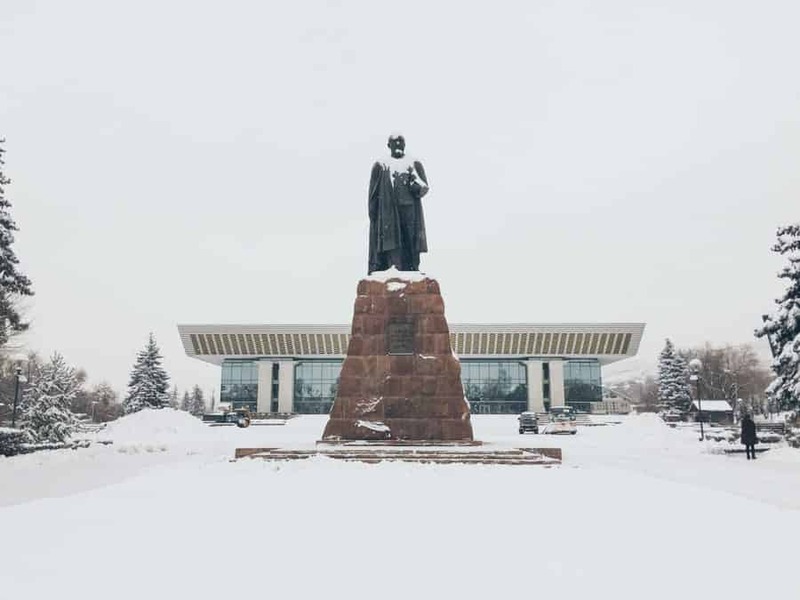 I planned to head to Almaty at the absolute perfect time during my Kazakhstan/Kyrgyzstan trip and I unknowingly did so…. 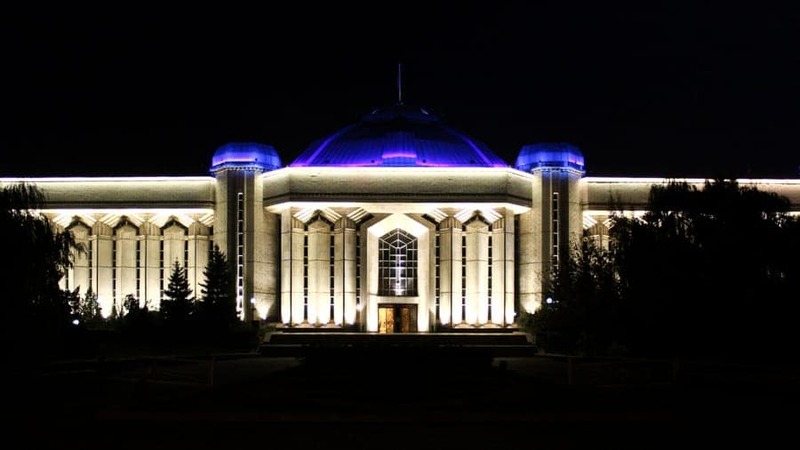 Should You Travel to Astana, Kazakhstan? I didn´t notice that the internet was getting worse, maybe there was something in particular going on? In that case, I know some countries limit internet access. Hmmm, I never had a Kazakh sim card though. In Tajikistan, some providors censor more than others I understand. Anyway, too bad if it is going in that direction. -do I need to Visa ? 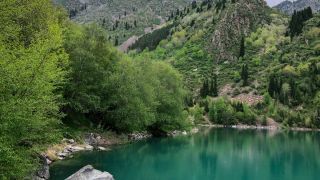 – How is fees in Almaty for one week as a tourist ? – How I can book a room in a hotel ? Interesting. We’re planning to go there sometime so good to know about the internet. wohh just what I was looking for, regards for posting.